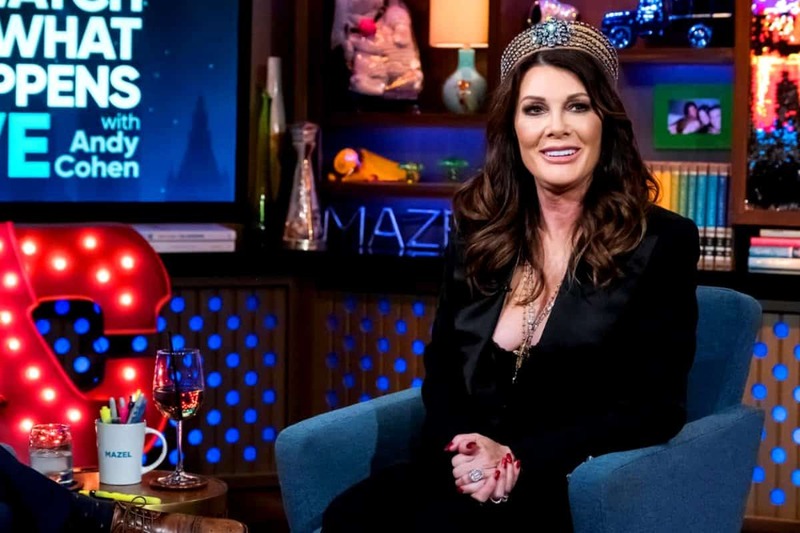 Lisa Vanderpump opened up about the latest drama on The Real Housewives of Beverly Hills during Tuesday night’s After Show of Watch What Happens Live with Andy Cohen. During her appearance, Lisa addressed questions from fans who wanted to know more about Kyle Richards‘ fight with her husband, Ken Todd, her thoughts on Puppy Gate, and her co-stars. “I think everybody was upset,” Lisa explained when asked for her thoughts on Ken’s aggressive behavior towards Kyle. “Ken is very protective of me but I also think that you know, obviously the scene was longer than you’ve seen because of editing. When you’ve asked somebody to go a couple of times and they’re not getting the message it’s like, ‘Get the f**k out of my house,'” she continued. As for why she hasn’t confronted Dorit about her decision to give her dog Lucy to another family after adopting her from Vanderpump Dogs, Lisa said that while Dorit made a “careless choice,” she doesn’t want to shine light on the “Dorit dog-dumping story.” Instead, she wants viewers to focus their attention on Resolution 401, which outlaws dog meat trade, the thousands of dogs she’s managed to save, and everything she and her team are planning to do going forward. After Lisa’s co-stars began to suspect it was Lisa that was behind a story in which Dorit was accused of abandoning Lucy, Lisa became estranged from the cast and claims no one has reached out to her since, aside from a number of texts about film times. Because of her estrangement from her co-stars, many have suspected Lisa may quit the RHOBH and during her appearance on Watch What Happens Live, she hinted at leaving the show when asked which of her co-stars she’d like to have fired from the series. “Probably me!” she told the caller. Later on in the show, Lisa was asked if she’d rather have a two-hour dinner with Brandi Glanville or an eight-hour car ride with Teddi Mellencamp and gave a surprising answer. “A two-hour dinner with Brandi sounds fantastic!” she exclaimed. The Real Housewives of Beverly Hills airs Tuesdays at 9 p.m. on Bravo TV.